Good news for AHACs and for Indigenous people and communities across Ontario! THUNDER BAY, ON, May 25, 2016 – Today, at Anishnawbe Mushkiki Aboriginal Health Access Centre in Thunder Bay, Ontario Minister of Health and Long-Term Care Dr. Eric Hoskins, alongside his colleagues David Zimmer, Minister of Aboriginal Affairs, Michael Gravelle, Minister of Northern Development and Mines, and Ontario Regional Chief Isadore Day, made a ground-breaking announcement of the largest investment in Indigenous health care in Ontario’s history. This investment includes the establishment of up to 10 new or expanded Indigenous-centred primary health care teams that include traditional healing to serve Indigenous communities across the province, similar to the existing network of 10 Aboriginal Health Access Centres (AHACs). Gloria Daybutch, Executive Director of Maamwesying North Shore Community Health Services, which serves First Nations communities along the North Shore of Lake Huron and the indigenous population of the City of Sault Sainte Marie, said the announcement is a welcomed and well-timed vote of confidence in Indigenous-centred care. “The government’s growth of inter-professional health care teams includes Indigenous healers, incorporates Indigenous ways of knowing and being, and ensures culturally safe primary care and community health promotion programs. This expansion demonstrates the positive impact that community governance and ownership of Indigenous health care administration is already having for Indigenous communities,” Daybutch said. Unique in Canada and made in Ontario, AHACs are Indigenous community-led primary health care organizations that embed Indigenous cultural practices and teachings at the heart of everything they do. They provide a comprehensive array of health and social services to Indigenous communities across Ontario. These services include primary care, traditional healing, mental wellness, addictions services, cultural programs, health promotion programs, early years programs, oral health care, community development initiatives, home and community care and social support services. 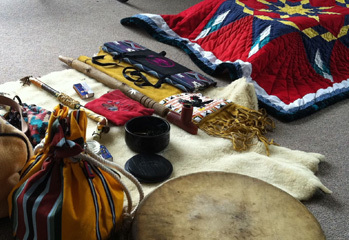 Importantly, they work on healing the impacts of intergenerational trauma. Being community-governed, AHACs are able to respond to the specific geographic, socioeconomic and cultural needs of the diverse Indigenous communities they serve. We are delighted to share this achievement for Indigenous health care across Ontario. Though it is too early to know the specific implications of this announcement for SOAHAC, we are thankful to be operating within a larger, provincial system that acknowledges, now more than ever, Indigenous rights to determination in health care. What it does tell us is that we will continue to grow, evolve, and progress toward improved health and wellness outcomes for Aboriginal people in Southwest Ontario. UPDATE: Our Health Counts London a Success!